Los Angeles Executive Limousine serves Calabasas, CA. 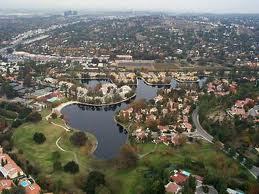 As our dispatch office is located conveniently next door in Woodland Hills, CA, of course we service Calabasas. We have been since 1998, and some of our best and most loyal clients live there. Whether you need luxury transportation to any of the municipal or private airports, a business engagement, a concert, a doctor visit, or a night on the town, allow Los Angeles Executive Limousine to provide you with safe, professional chauffeured limo service to anywhere in the greater Los Angeles area. We have performed hundreds of trips from the Calabasas area to LAX and the other regional and private Airports since operations began in 1998. Our rates are affordably priced in the midrange, and not one of our clients been involved in an accident in one of our vehicles. We don’t charge travel time to pick you up in Calabasas. A lot of limousine companies do. But with Los Angeles Executive Limousine Service, you don’t pay until the pickup time you arranged. You would only be charged travel time is if we drop you in a another county or city and that will be for the travel time back. There is no travel time for limo service to any Airport in Los Angeles County. Whether it’s a business engagement at an office or a restaurant, a doctor visit, a concert, a wedding, or a prom, we will provide you with safe reliable, professionally chauffeured limousine service that will make any occasion memorable.